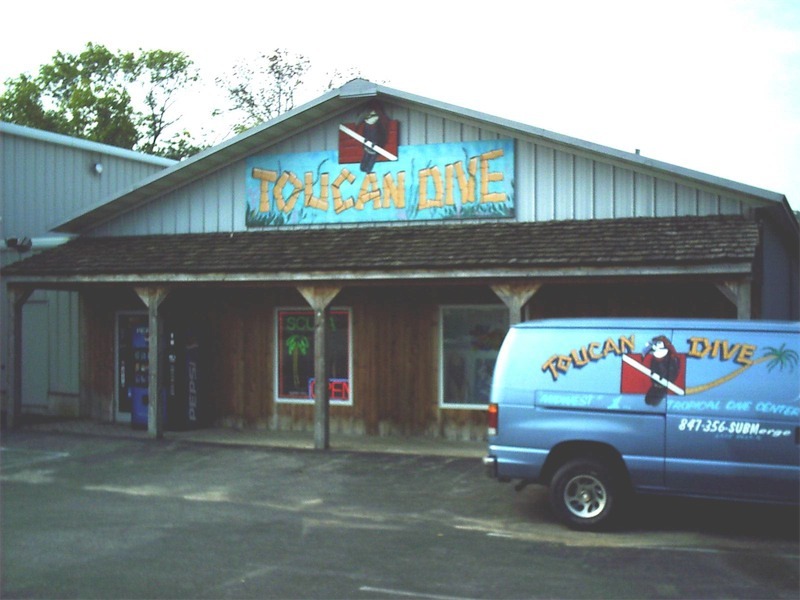 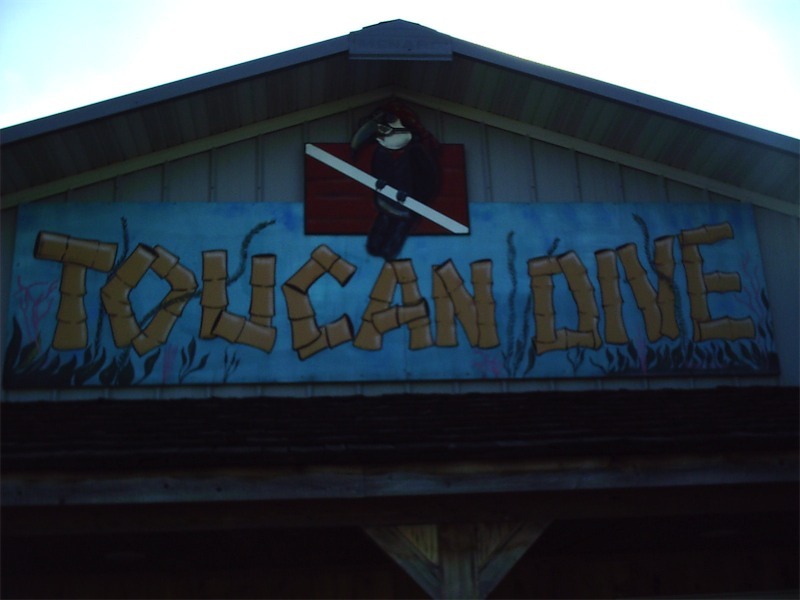 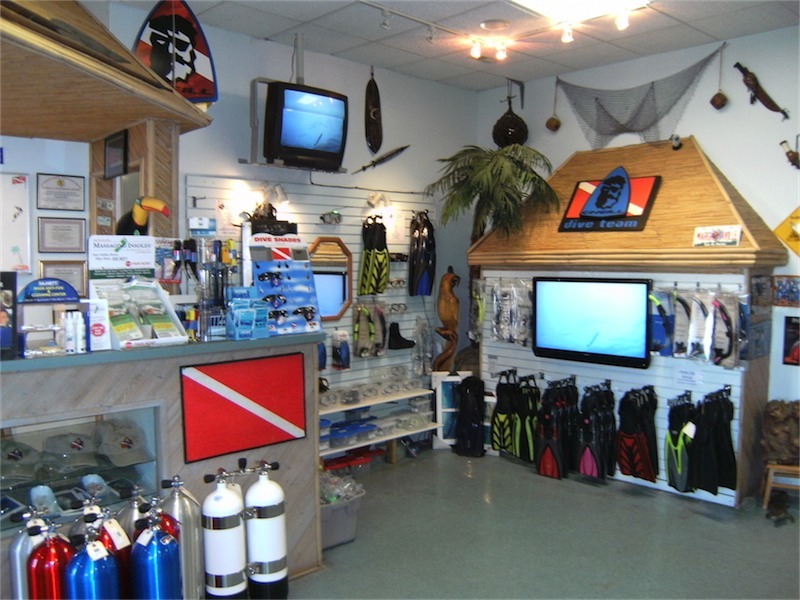 Although the style of the Toucan Dive’s exterior is very similar to a dive shop we saw in Tobago decades ago, our dive center offers the newest in dive gear, training programs and quality service for all our customers. 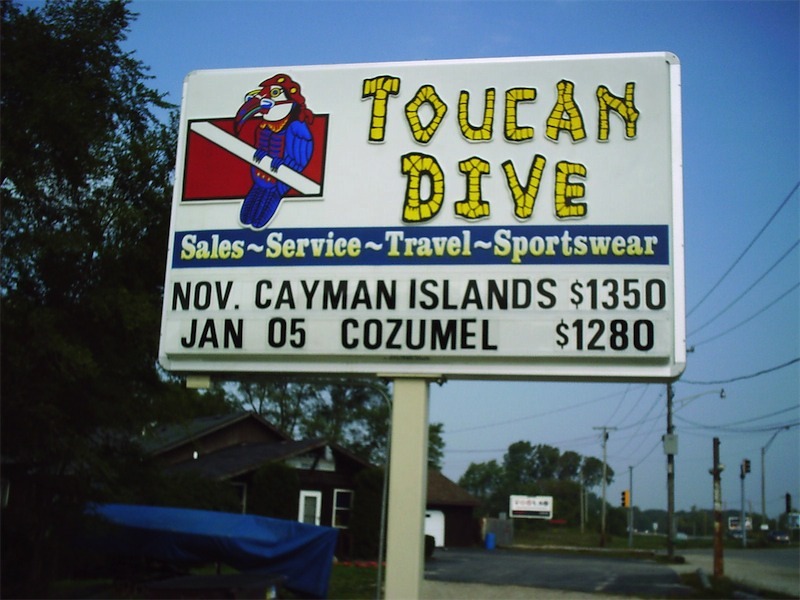 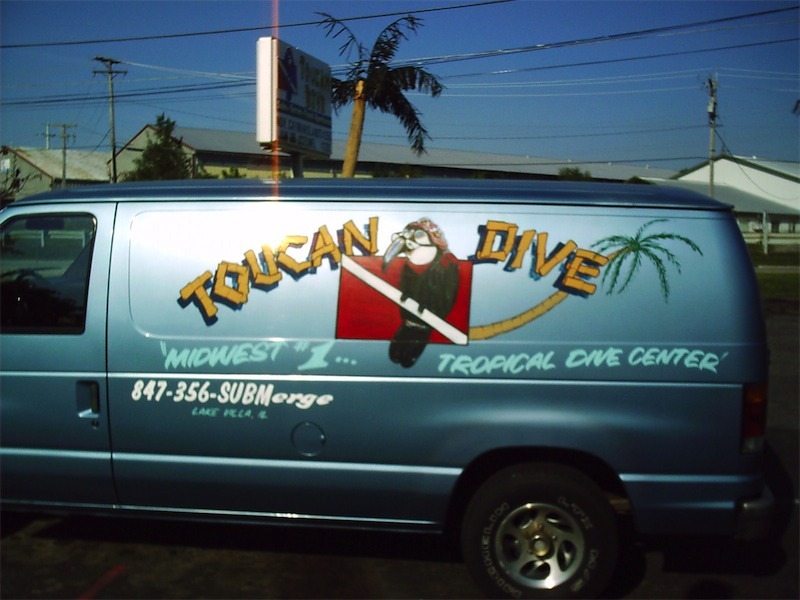 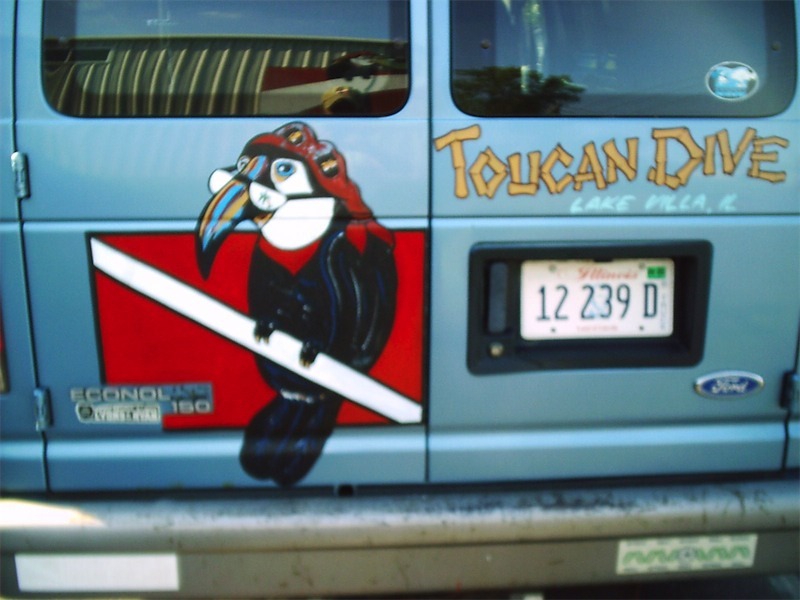 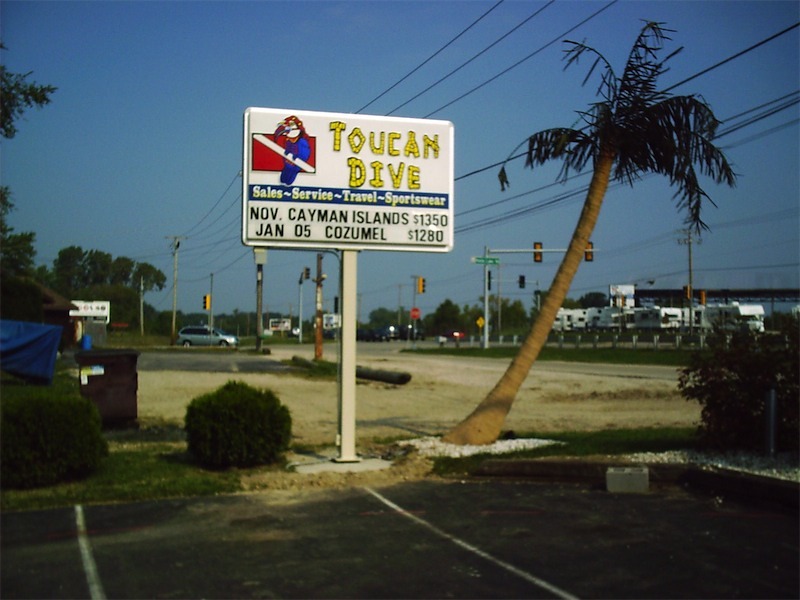 Toucan Dive has worked hard for our customers to earn the PADI 5-Star Dive Center rating. 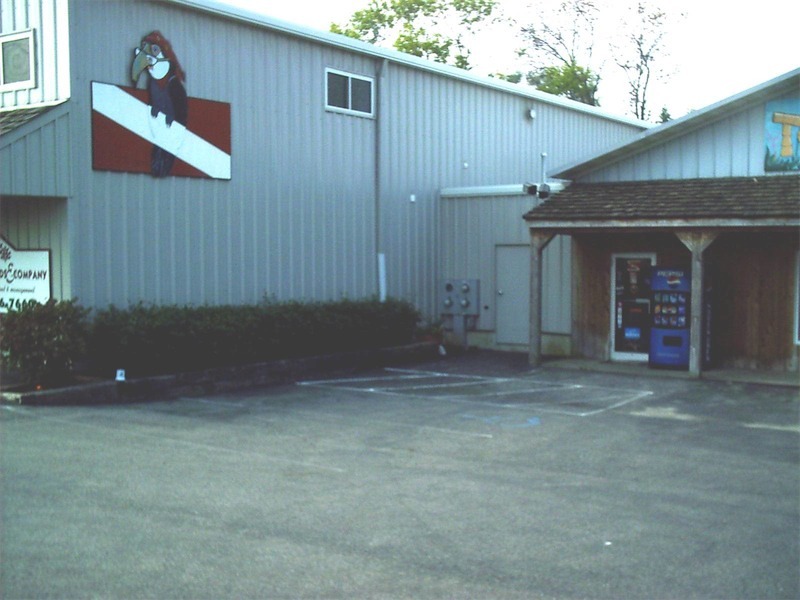 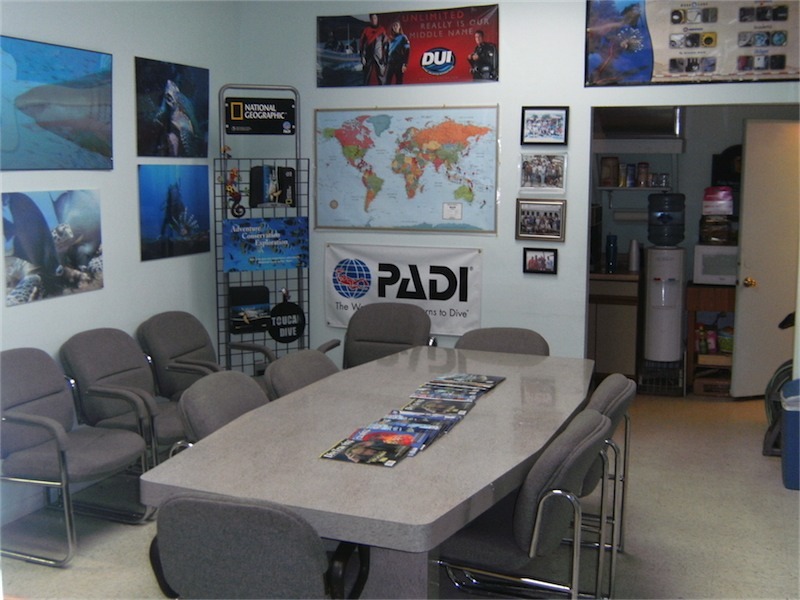 For a dive shop to qualify for this rating, we must meet or exceed service and business standards and use the training materials provided by PADI. 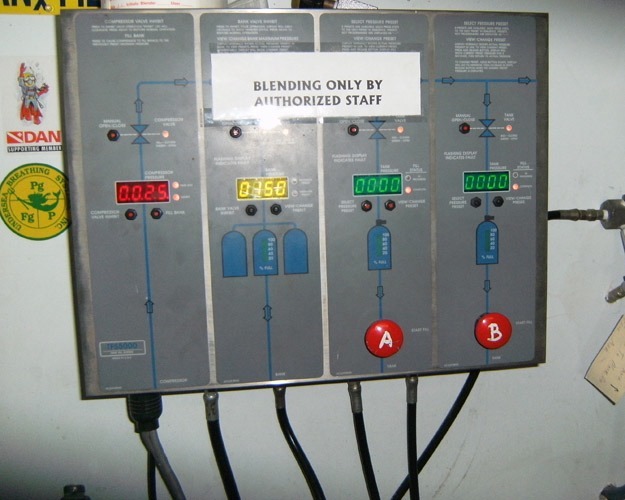 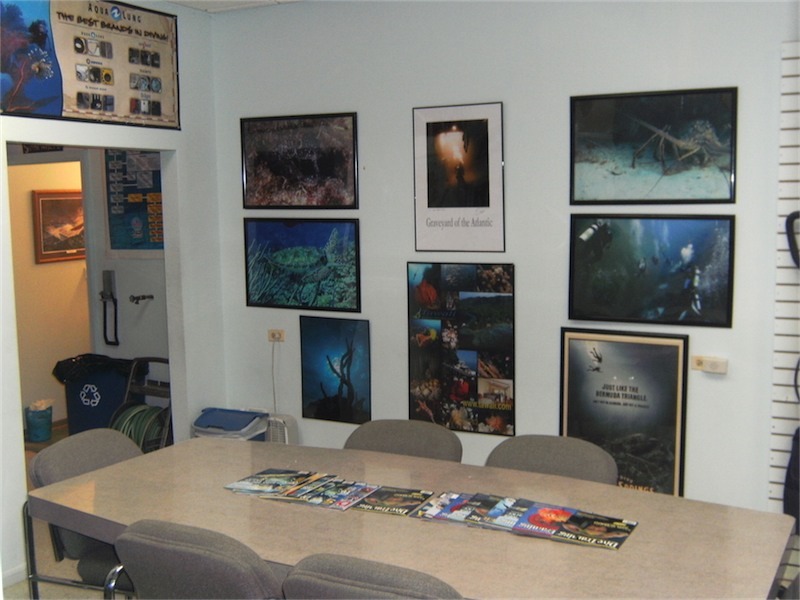 Without a doubt, the training materials provided to customers are top notch, offering a variety of training methods including award-winning texts, professional videos and online training options. 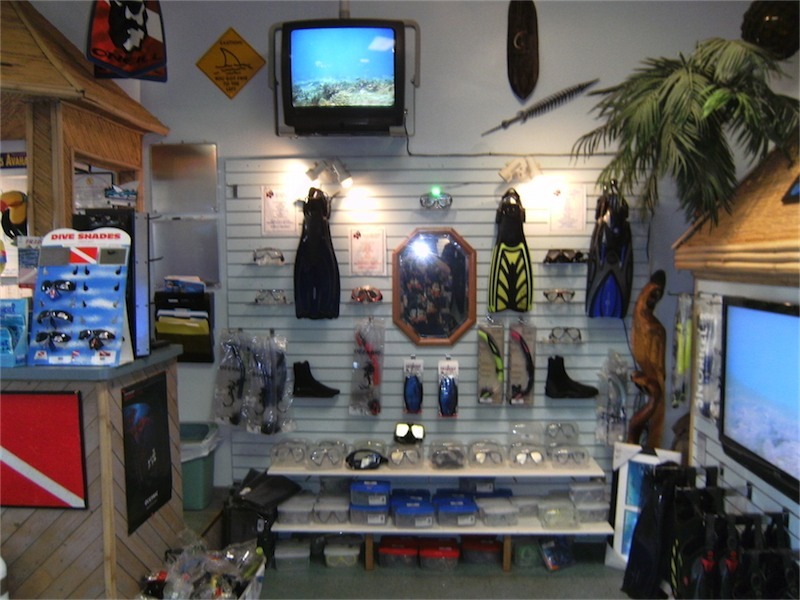 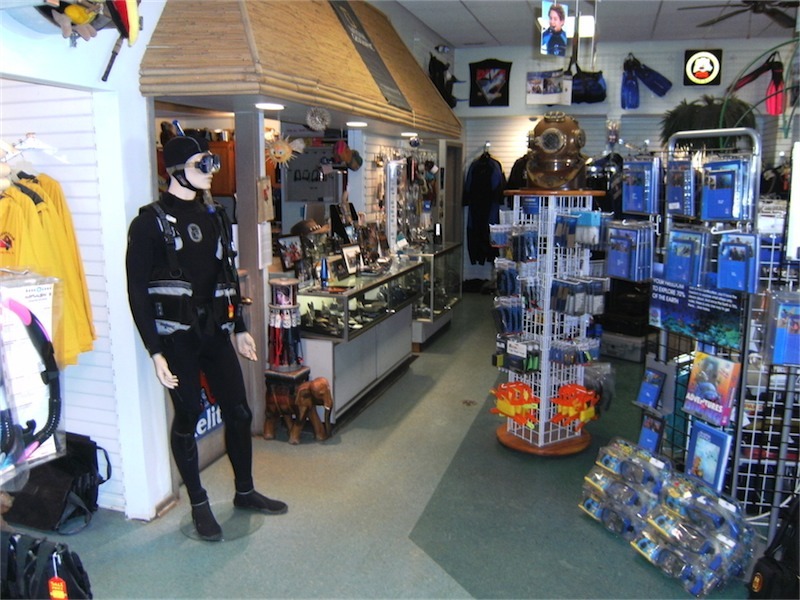 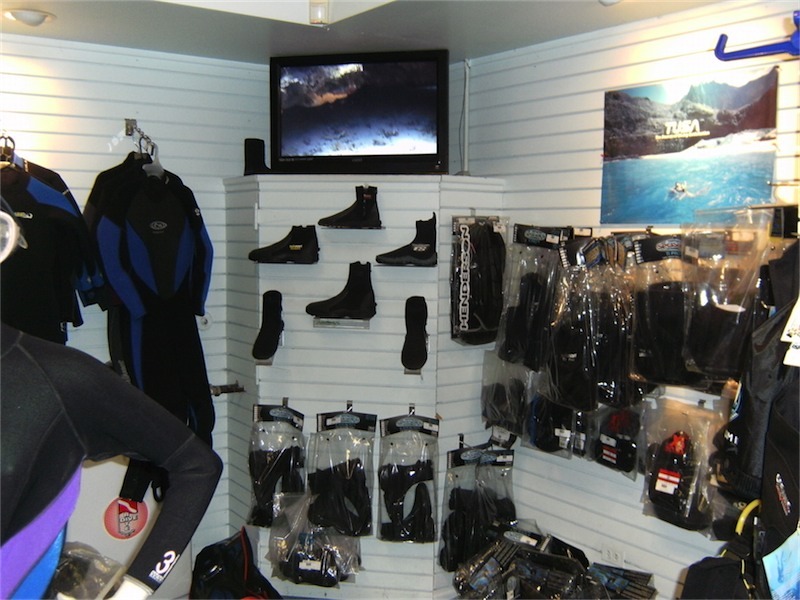 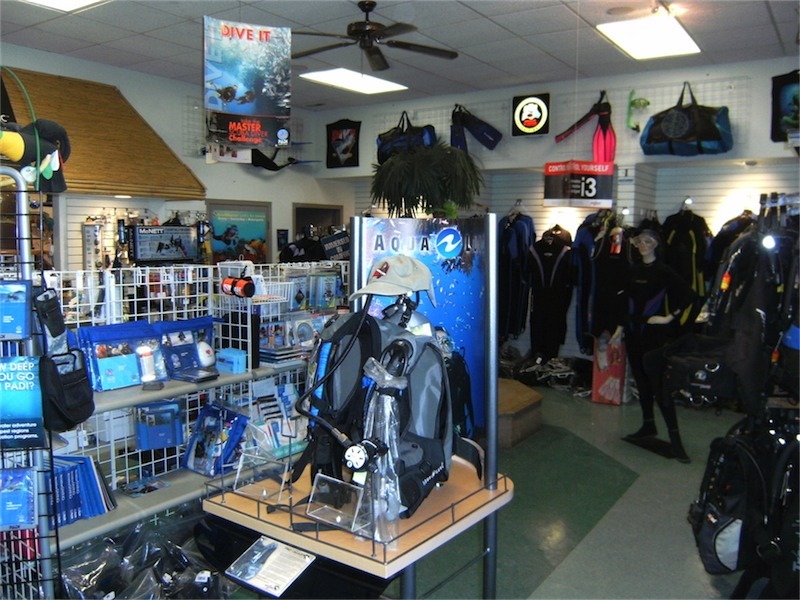 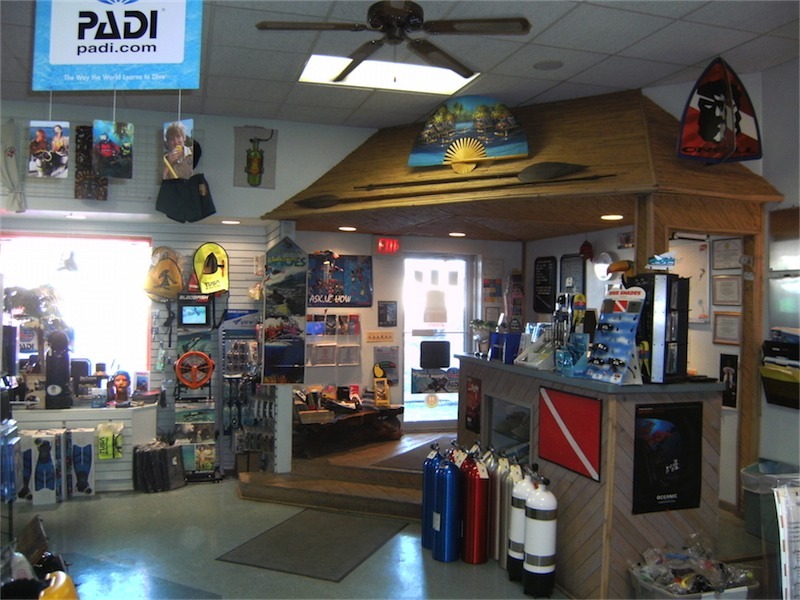 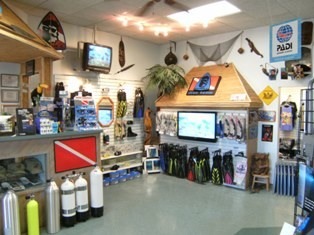 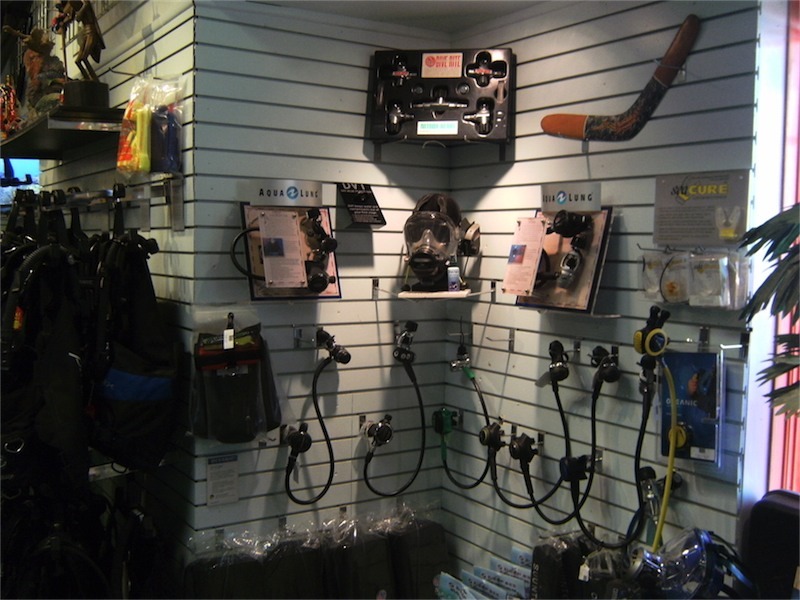 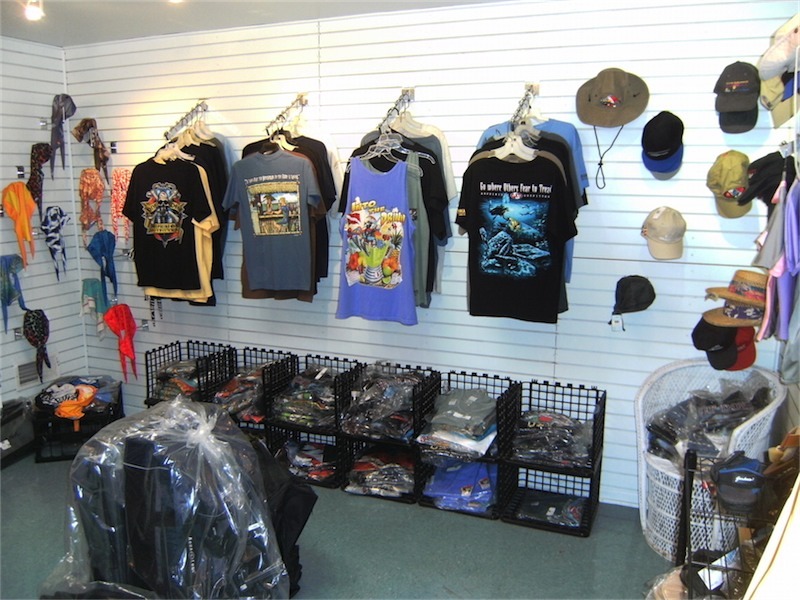 The classroom at the dive shop is set up as a comfortable academic training environment for our students, and our showroom has a great selection of gear for scuba divers and snorkelers. 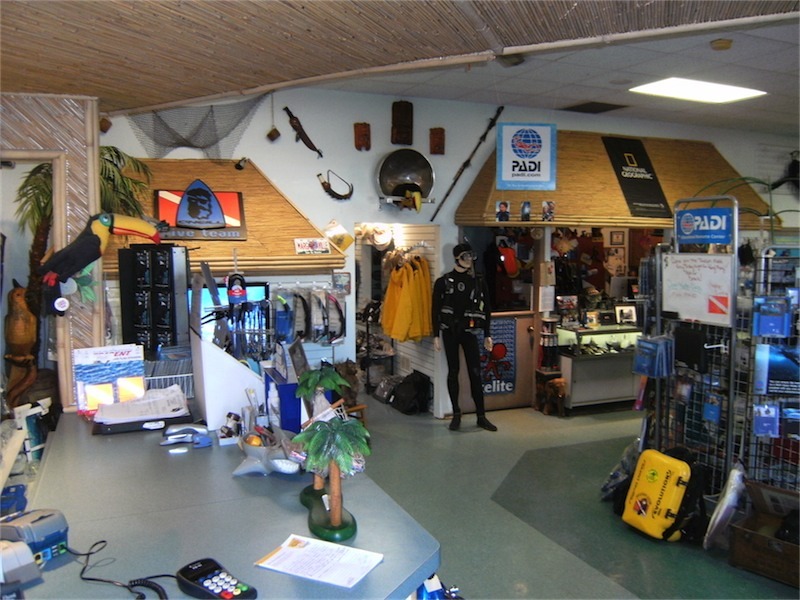 Check out the photos below!